OneAtlas is here! Airbus just announced our new digital platform, OneAtlas. 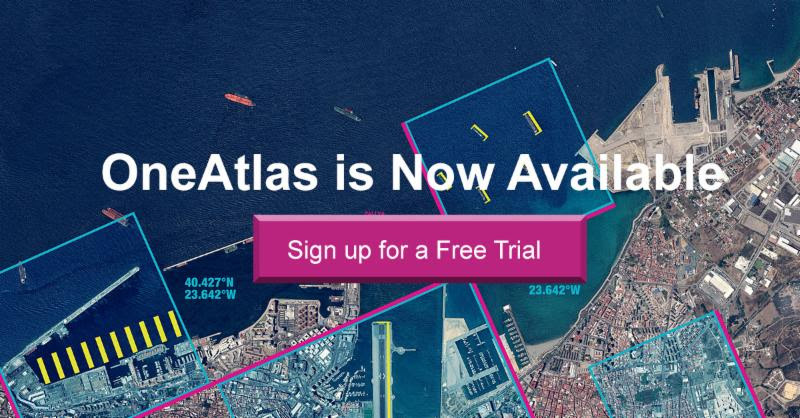 The OneAtlas Platform provides access to premium imagery, large-scale image processing, industry-specific insights and more. Airbus Defence and Space and Hisdesat Servicios Estratégicos, S.A. have generated the first joint TerraSAR-X / PAZ Radar Interferogram. This milestone demonstrates the missions’ capacity for cross-sensor interferometry, whose processing is among the most challenging. Airbus Defence and Space and Hisdesat Servicios Estratégicos, S.A. have generated the first joint TerraSAR-X / PAZ Radar Interferogram. This milestone demonstrates the missions’ capacity for cross-sensor interferometry. In 2020, we will add revolutionary very high resolution satellites to our constellation. The Pléiades Neo programme is on track to meet this deadline and to open up new possibilities to demanding geospatial users. Design and navigation have been improved on the GeoStore home page to give you an even better experience.